Software makes it easy to create impressive artistic prints from manipulated digital images. This has helped producers of quality, large format canvas printing services. FotoInsight of Cambridge is launching its online canvas service in France, Spain and is now selling in 32 countries. According to FotoInsight, thousands of its online photo printing customers have taken advantage of its new production processes. Modern fabrics, optimised for ink absorption and long durability and standardised sizes which allow a largely automatised production process result in professional quality of a high continuity and durability at lower prices. FotoInsight, a specialist serving amateur and professional photographers alike, prints canvas in sizes from 20x30 cm (minimum resolution 800 x 1.100 Pixel) to 60x80 cm (2.500 x 3.300 pixel recommended). FotoInsight states that it uses special synthetic fibres and fade resistant "archival" inks to guarantee longevity and brilliant colours. The hi-tech inks penetrate deep into the fabric and can therefore be printed and mounted over the edges of the wooden frame. Standardised sizes allow a largely automatic production process. According to FotoInsight this ensures constant quality and long durability at a lower price for the first time. "Quality is our priority. All materials we use are subject to extensive testing and are guaranteed by their manufacturers to last 100 years. This guarantee extends to photo printing on real photographic paper as well as to the canvas print", emphasises Dr. Rolf Hollander, CEO of FotoInsight's production partner and Europe's largest photo finisher. Frame mounted canvas prints convert holiday snaps into large format artwork. The fine structure of the fabric creates additional depth, and the print extending over the frame generates a 3D effect on the wall. As the durable fabrics are fully mounted no additional frame is required, the image can be put straight onto a wall. It is a great present suitable for the home as well as the office. Photo prints on canvas are also well suited for digital art created with image editing software and filters. FotoInsight's Managing Director Klaas Brumann states: “Image editing software helps to create impressive digital art for which the output of an inkjet printer can’t do justice. Digital editing software creates new, impressive applications for mounted canvases.” Compared to images behind glass frames, a photo screen print or canvas shows more detail and a fine structure. Due to the fabric folding around the frame it also shows greater depth. Printing-1 the specialist service for PC and Mac makes ever bigger photo books. The new larger formats Premium (H12” x W16”) and Panorama (H8” x W12”) offer space for many photographs on up to 250 pages. The majority of snaps taken during the vacations, a wedding or party, never make it onto the traditional 6”x4” sheet of photographic paper; stepping in its place are online photo sharing and the printed photo album which are professionally printed as a coffee table photo book. As the resolution of digital photographs is increasing, the specialist service Printing-1 is making photo books that literally stand out by their sheer size. Printing-1 extends its offer with the new formats “panorama” and “premium” and at the same time is making the photo books bigger. The Printing-1 photo books carrying up to 144 pages could always be made larger than with most other photo book services. Printing-1 is now extending the number of pages, offering the options of 200 and 250 pages. According to the vendor, the “premium” format book with 250 pages is Europe's largest on-demand photobook. In any case, it offers a lot of space to archive photographic memories. The Printing-1 range includes five sizes, starting with small photo booklets (Pocket: (H10.5 cm x W14.8 cm), over A4 size books to the 12”x12” Maxi format photo book, all formats are now also available as photo calendars. Printing-1 uses a particularly strong binding process for the hardcover photobooks or linen hardcover, softcover or spiral and can therefore offer larger books with more pages than other photo book services. Hardcover photo books start with 36 pages and can include up to 250 pages in a hard cover. The Printing-1 photo book covers come in a choice of colours and can be edited with photographs and text. Photo book software for Windows and Apple Mac OS can be downloaded for free from the Printing-1 website. Images can be scaled and positioned freely. The page numbering style can be turned on or off for each individual page. The application provides templates to position images precisely and easily. Printing-1 also offers silk matt and glossy paper and its software allows switching between different types of binding and book formats at any time during the design process. 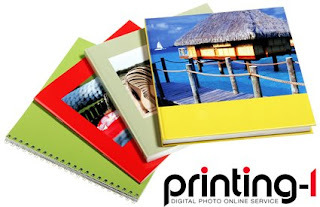 Individual photo books can be saved and shared online at http://www.printing-1.co.uk as projects. Before placing a print order, the photo book layout file is uploaded to Printing-1 first. There the photo book can be shared free of charge with friends and family before ordering prints. That is particularly practical when after a party or family event others want to pay for their own copy. Sending a printed memory book directly to friends and family abroad (Europe or the USA) also makes a very personal gift and saves on postage costs. The digital photo service Printing-1 delivers in the UK and most European countries as well as the USA within two weeks of ordering online. Photo books professionally printed from own digital photographs are a great step forward from the traditional photo album. Printing-1 offers a Windows and MacOS compatible online photo service, which can be used with photos from any digital camera or camera phone. Printing-1 specialises in photo books and photo canvas printing only. The professional printing processes allow Printing-1 to offer its photo booklet in the “pocket” format with ring- or laminated binding from £7.95 – plus p&p £4.90 (orders over £100 ship free). Between the Pocket and the Premium format, Printing-1 offers further five intermediate sizes. Printing-1 started in October 2006 as a British-German joint-venture. 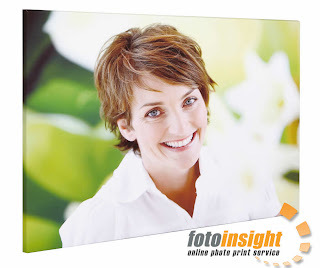 The Internet-Service is specialising in high quality, modern photo print products like photo books and photo canvas. The service is fully compatible with Windows and Mac PCs.